February 1922. 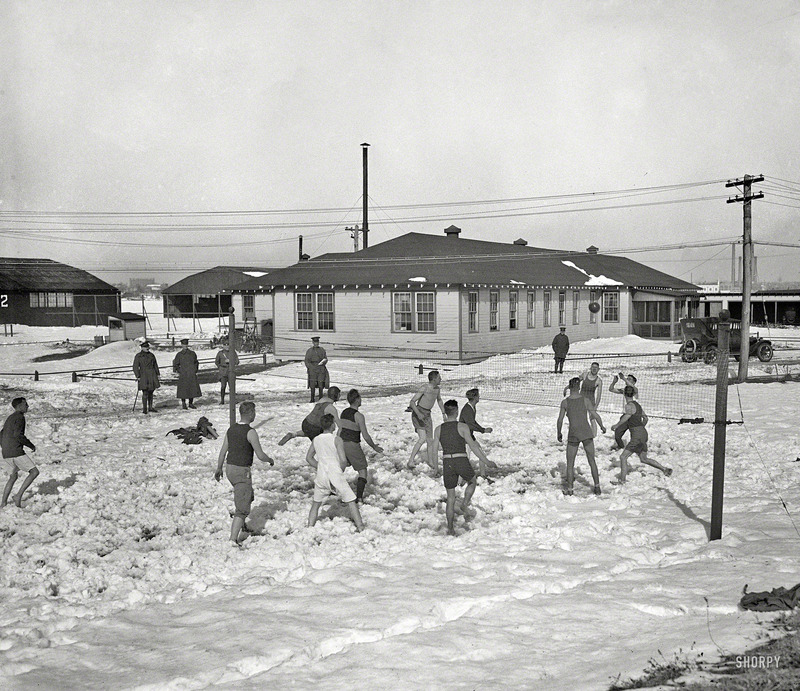 Washington, D.C. “Barefoot volleyball in snow.” Recreation at Fort Frostbite. Harris & Ewing Collection glass negative. 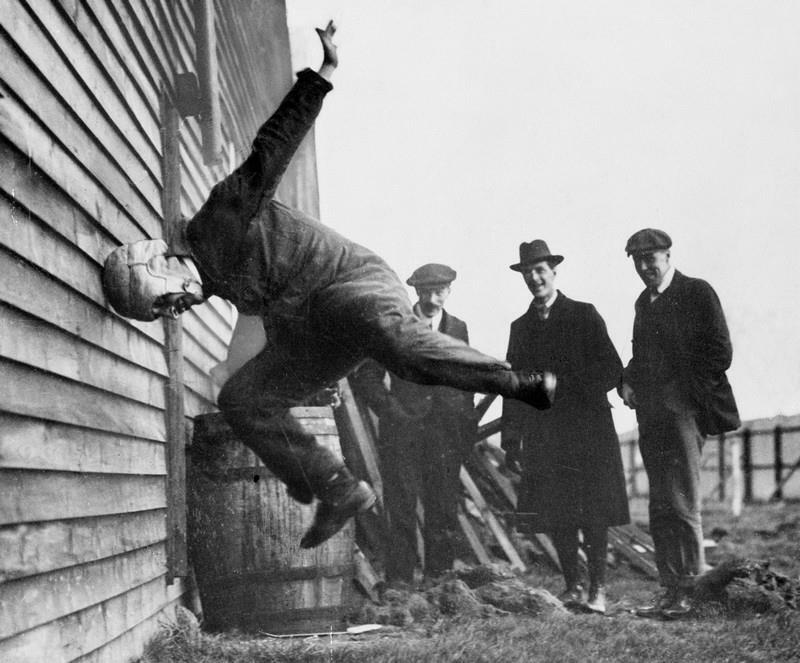 Man testing a prototype football helmet, 1912.